ECO schemes are seeing a major revival among fleets as massive changes within the company car sector prompt businesses to re-evaluate their approach, according to fleet consultancy firm BCF Wessex. Speaking to Fleet World, director David Rawlings said company cars were no longer the default option for fleets as a ‘perfect storm’ of circumstances meant they no longer offer the best value in all situations. Rawlings said: “I’ve probably been for the last 25 years the biggest proponent of the company car – the guy who stands up and shouts about the value in the company car. Instead Rawlings is advising clients and fleets that there’s never been a more urgent time to review company cars and ask what the business is trying to achieve; if it’s trying to provide a benefit to drivers, there may be better solutions. And although the best solutions depend on the car and the driver, the firm is seeing in a lot of instances that ECOs are coming back into play and they work well – bringing quite significant savings, according to Rawlings. He added: “Although whenever you say the word ‘ECO’, people are filled with fear over the Revenue system, some of the ways you can put ECO schemes together can make these work very well with very little risk. And despite concerns last year that some ECO schemes will fall foul of the Government’s new OpRA rules, Rawlings said that’s not always the case. “There’s lots of different ‘flavours’ of ECO schemes,” he explained. 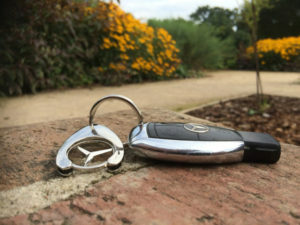 “And at its very simplest, you’re taking somebody out of a car and you’re using Benefit in Kind as part of the saving – and if the driver’s mileage profile is right, they can rely just on AMAP rates. Obviously if the driver has a mileage parameter that doesn’t work, you have to be more creative and those schemes are more complex. Rawlings also said that ECO schemes can help with companies looking to retain control over their fleet – a key concern with drivers taking cash allowances or going down the Personal Contract Hire route. And the schemes can help with the growing number of companies looking to review their fleet operations; according to Rawlings, since the OpRA announcement last year there’s been a knee-jerk reaction of businesses saying they want to get rid of cars – more so than in the last eight or nine years. This is one of the reasons why the company is now working with HRUX (Human Resources User eXperience) as the two businesses report “unprecedented” demand from employers for support around their car policies.